Zdravo! Learn Serbian for work, travel, or personal reasons by joining our online Serbian language classes via Skype with native professional tutors! Serbian is a South-Western Slavic language that belongs to the Indo-European languages spoken primarily in Serbia. It is also spoken in Bosnia, Herzegovina, Kosovo, Croatia, Hungary and Slovakia. Serbian is most closely related to Croatian, Bosnian and Slovene. Serbian and Croatian are mutually understandable. There is however some differences in terms of certain pronunciations, vocabulary, syntax and the alphabet they are written. The Serbian language has two main dialects: Shtoktavian and Torlakian. Shtoktavian is the language standard language and used for literary purpose. Serbian has the distinction of being the only language to use both Latin and Cyrillic alphabets. The official Serbian alphabet is the Cyrillic alphabet but because of its Serbo-Croat heritage it is also written using Latin alphabet. Serbian pronunciation is very simple because of its phonetic nature. Serbian language has borrowed words from several other foreign languages like Hungarian, Turkish, Italian and Greek. And more recently, it has taken in words of English origin. Have clients or colleagues in Serbia? Love to travel? Thinking of working in Serbia? Take a Serbian course through Skype with our native tutors and learn Serbian in a fun, fast and cost effective way! Learning Serbian language has several benefits. For one, knowing even a few phrases of Serbian will make a huge difference while visiting Serbia. You can get around the country much more independently with your Serbian knowledge. Balkan people will appreciate the fact that you are putting an effort to learn their language. Learning Serbian will make it easier for you to learn some other Slavic language like Russian, Czech, Polish, Bulgarian and Slovenian among others. Serbian language has a rich literary tradition. Learning Serbian will enable you read some great compositions in the original language. 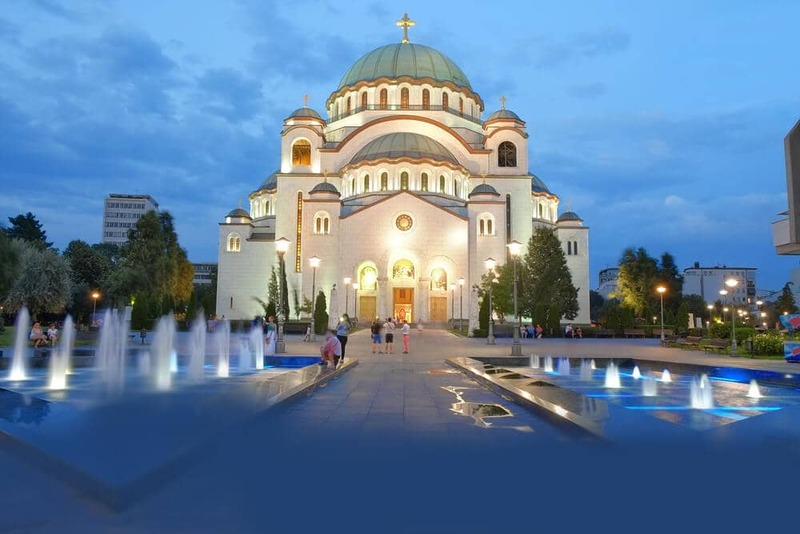 And if you are an expat living in Serbia, learning Serbian will enrich your experience and ease your stay by getting to know local people, their culture and customs. Start learning Serbian in a fun, fast and interesting way by joining our online Serbian language classes through Skype. To start learning Serbian with us all you need is access to internet and you can learn the language anytime anywhere from some of the best native tutors. Our professional tutors offer you personalised lessons tailored to meet your learning needs and goals. Whether you are a beginner, intermediate or advanced learner, our one-to-one instructions will help you to become proficient in Serbian within a short span of time. You will find our classes to be very affordable as we as we don‘t rent expensive class rooms and so we are able to pass this advantage on to our customers. All our tutors are native professionals who will assist you not only in learning the basics of Serbian but also will help you converse fluently in the language. You also enjoy utmost flexibility as you can schedule the lessons whenever you want wherever you want. So what are you waiting for? Join today and learn Serbian in a fast, fun and interactive way. You can now take Serbian classes one-to-one using Skype with a tutor of your choice. Our Serbian lessons are custom, effective, comfortable, and fun. Pick a tutor NOW! Choose anything specific. Whether it is conversational Serbian classes, business Serbian lessons or just learning how to greet and impress a loved one. We can help you with them all.